Vijay Mallya has indicated that he plans to appeal the verdict in the High Court. In a ruling in May, a UK High Court judge had refused to overturn a worldwide order freezing Mr Mallya's assets and upheld an Indian court's ruling that the consortium of 13 Indian banks were entitled to recover funds amounting to nearly 1.145 billion pounds. Besides SBI, the 13 Indian banks include Bank of Baroda, Corporation bank, Federal Bank Ltd, IDBI Bank, Indian Overseas Bank, Jammu & Kashmir Bank, Punjab & Sind Bank, Punjab National Bank, State Bank of Mysore, UCO Bank, United Bank of India and JM Financial Asset Reconstruction Co Pvt Ltd. They have secured follow-on High Court orders to recover some of the funds owed to them as a result of unpaid loans by Mr Mallya's now-defunct Kingfisher Airlines. 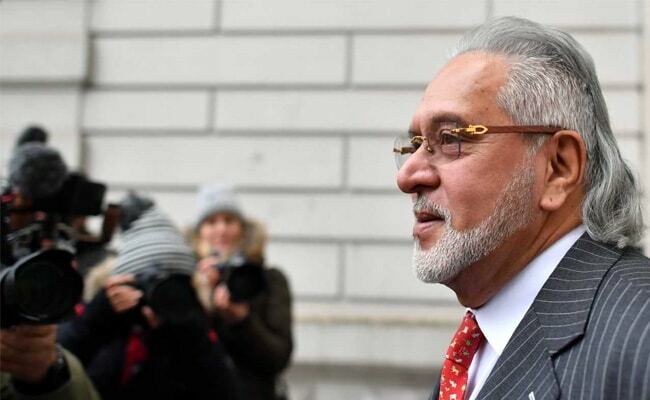 Mr Mallya, meanwhile, remains on bail after his extradition was recently ordered by Westminster Magistrates' Court in London, an order which now awaits a sign-off by UK home secretary Sajid Javid. Chief Magistrate, Judge Emma Arbuthnot, had ruled last week that Mr Mallya does have a case to answer in the Indian courts over substantial "misrepresentations" of his financial dealings, in a boost to India's efforts to bring back the businessman wanted for alleged bank fraud and money laundering charges amounting to an estimated Rs 9,000 crores. Mr Mallya has indicated that he plans to appeal the verdict in the High Court. In separate legal proceedings, Mr Mallya is also set for a trial in May next year to prevent his posh London home, overlooking Regent's Park, from foreclosure by Swiss Bank UBS.